I wondered what the Sheboygan No. 13 was, so I went looking for a bit of information. Thanks to Google Books’ digitization efforts, I found History of Sheboygan County, Wisconsin, Past and Present, Volume 1 by Carl Zillier. This book says that Sheboygan Lodge 13 was organized December 13, 1846 and is one of the oldest fraternal bodies in Wisconsin. 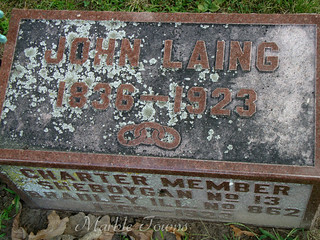 John Laing was one of the men who was a charter member under the re-organization and reinstatement of this Lodge in 1877. 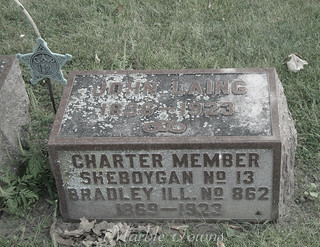 I was interested to see the mention of the Odd Fellow’s three links, which are also on Mr. Laing’s marker (and which I had not immediately recognized as Odd Fellow’s). 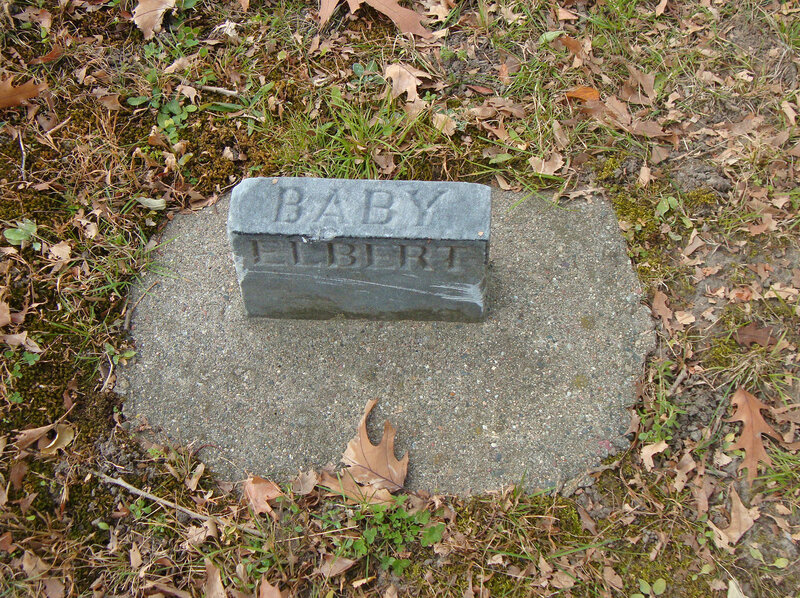 While visiting the Wildwood Cemetery in Sheboygan, WI, we came across this marker, which also had a 2-sided sign posted near it. 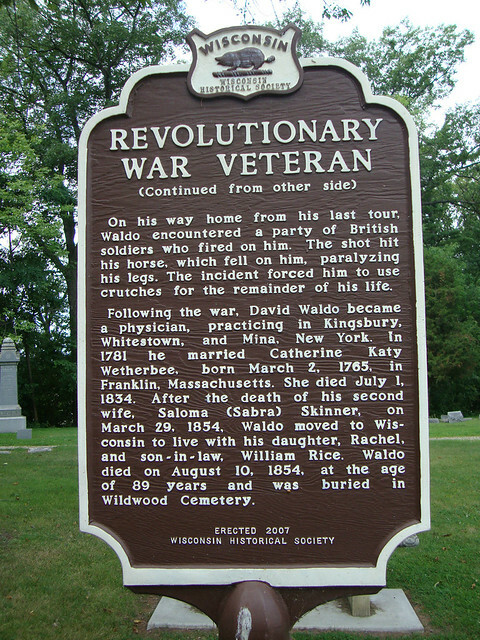 Looking for more information, I found the Wisconsin Society Sons of the American Revolution, which included a whole section on Revolutionary War graves. 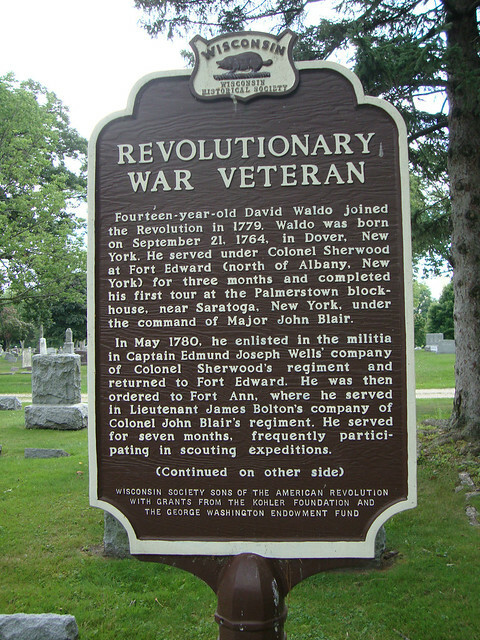 It was great to have this sign next to the marker (and have so much information on this man). 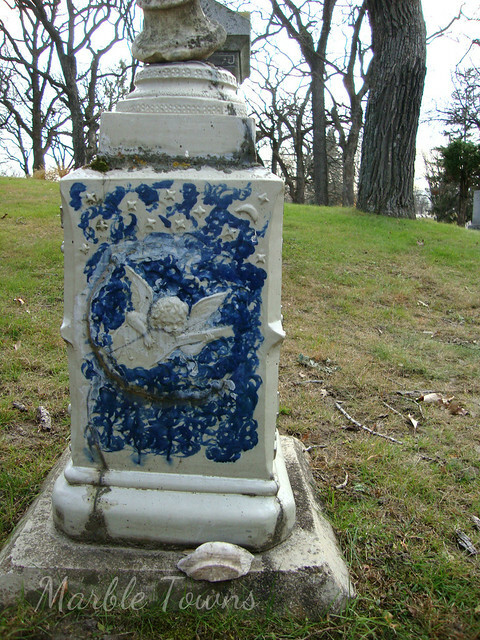 Our visit to the Oakwood Cemetery in Red Wing, MN allowed us to see some kinds of markers that we hadn’t seen before: ceramic. Red Wing, MN has deposits of clay beds (which led to industries and the founding of Red Wing pottery in 1877). When we were visiting the Red Wing Pottery Museum, we learned a lot about the history of the company, but also saw examples of pieces that were made by the workers. 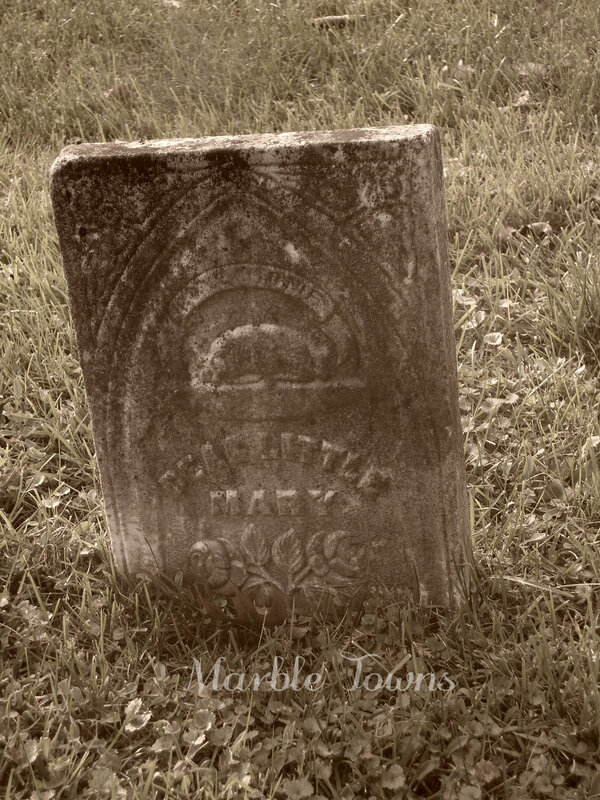 As so many young children born in the late 1800’s and early 1900’s, little Louise died of disease. She never got to experience a full life but she is never forgotten. She brought joy to the family that knew her and touches the hearts of those who did not know her. 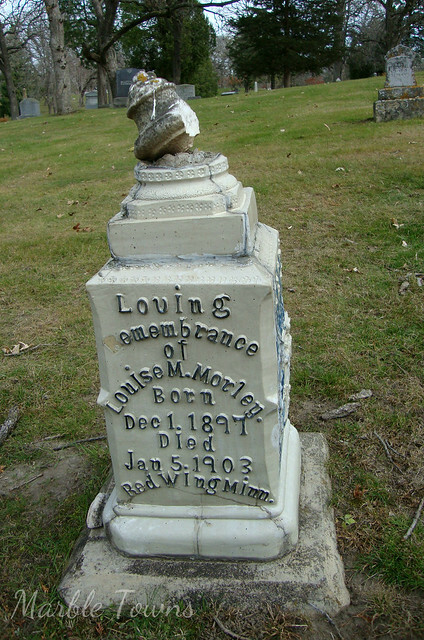 Her grave marker was made of clay in the pottery factory, most likely by her father William. 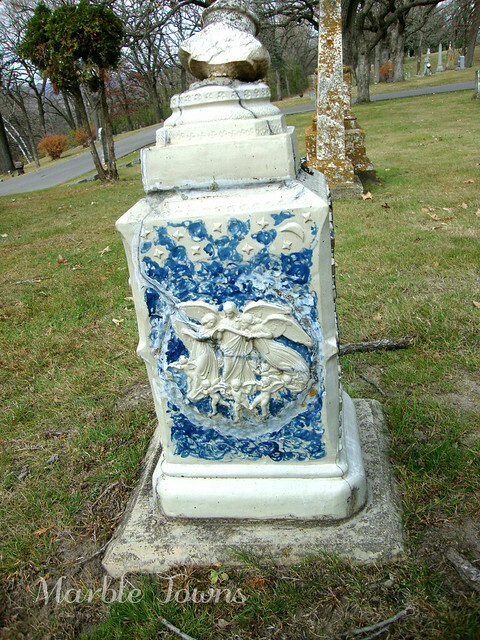 Her grave marker originaly had a large cross on the top of it with a picture of Jesus where the cross intersects. 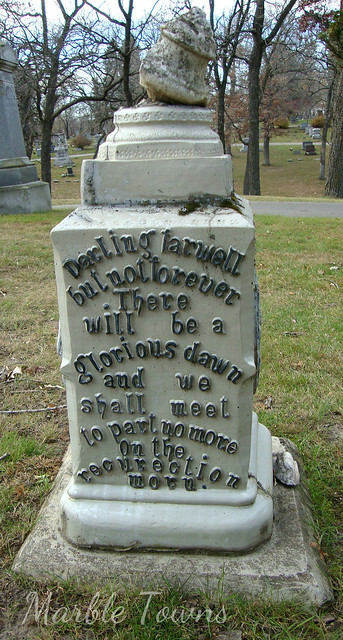 A truly amazing head stone and personal tribute to little Louise. 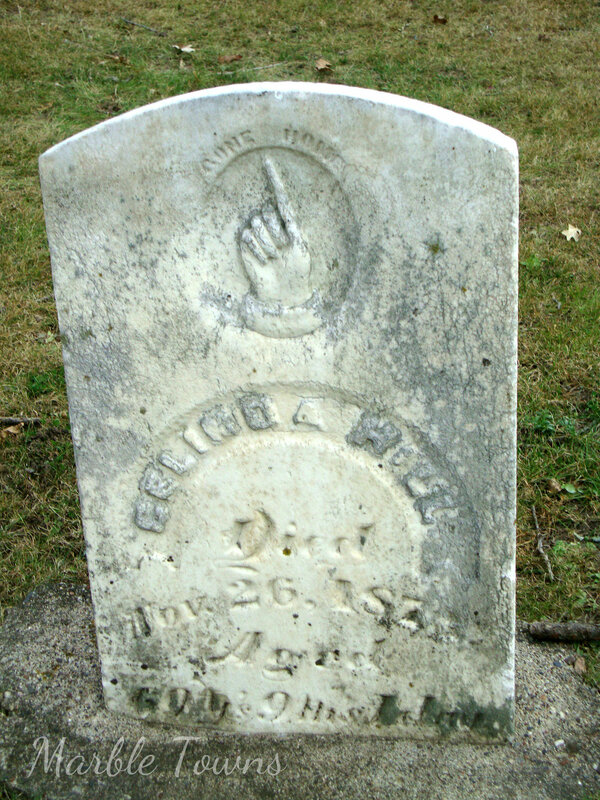 The notation about her father, William, making the marker makes a lot of sense, as many workers made pieces for themselves. 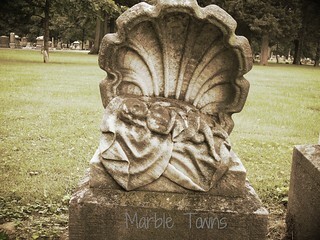 This marker is beautiful, and has obviously stood the test of time well. Very touching. Looking at the 1900 U.S. census, it shows William, aged 37, and his wife, Mary, as well as their children, Elsie (9), Martha (6) and Louise (3). This photo, on Ancestry.com, shows mother Mary with the three girls. 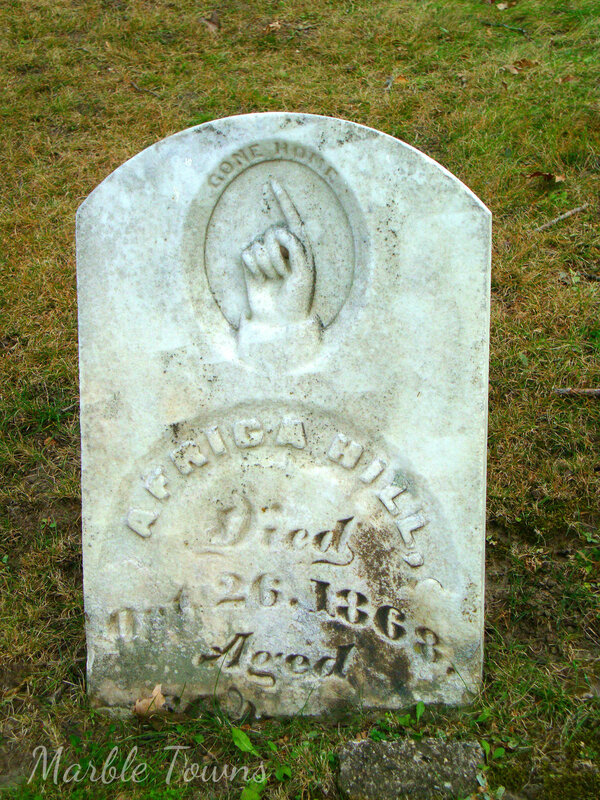 So, I turned to Ancestry.com and found that Africa was listed in the Cemetery Inscription Index as “Age 66 with Celinda and Waldow W.” The 1857 census information shows Africa Hill, a farmer, aged 53, living in Goodhue County. The census image was a bit tricky to make out, but it looks like Celinda (spelled as Selinda) is listed as his wife, age 55. 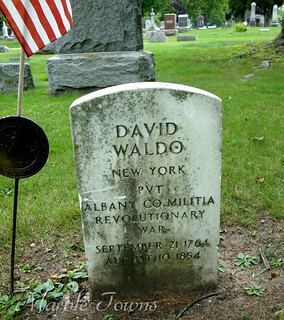 The record also shows 3 children: Dillos (?spelling), Lydia and Waldo. The 1860 census is clearer, with the information showing Africa aged 54, his wife, Celinda, aged 54 and their children: Delas, Waldow, Julia and Lydia. I did see that there are other Hills listed in this census record above Africa’s information, which makes me wonder if there was a brother with another farm in this area. By the time of the 1870 census, Celinda is shown alone.